What is A' Design Competition? A' Design Award and Competitions, aims to highlight the excellent qualifications of best designs, design concepts and design oriented products & services. Scroll down or click here to learn more. The A' Design Award is given to best designs; both concept stage, prototype or finished products are accepted. The A' Award Trophy was designed to be realized by the newest production techniques in order to underline the innovative content of winners. The Award Trophies are realized by 3D metal printing of stainless steel, the gold & platinum awards are electro plated in gold color. The Museum of Outstanding Design, the moving design museum was founded by A' Design Award in order to exhibit the winning designs. All A' Award winners are provided free of charge, exhibition space in the Mood. No matter how big or small your design, it will be exhibited. if you are unable to submit a physical version of your winning design, we will print a poster & exhibit it for you. Winner designs are given a unique certificate framed in metal, printed onheavy paper, featuring the name of the design and the designer. The Winners' Certificate features a QR Code which could be scanned by QR Code Readers in order to check the validity of the certificate. Our own publishing house, the Designer Press was founded by A' Design Award in order to disseminate the winning designs. The Hardcopy version of the A' Design Award Winner Designs' Book is distributed to key press members. All Winner Designs are included in the winners' book free of charge, the winners are also listed as co-editors of the book. The winners' books are available as hard-copy editions in addition to digital editions, designed, printed and distributed in Italy. The books are full color digital printed to acid-free paper to preserve the designs' presentation qualities for long periods of time, and are great additions to any design library. The Hardcopy versions of the books are available online for ordering at A' Design Award. A' Award & Competition organizes a unique Galanight & Award Ceremony near the beautiful Como Lake in Italy for winner designers. Press Members, Industry Leads, Designers and Companies are all invited in order to create networking opportunities for winners. All winners are invited and unlike some other awards, the participation to Gala-Night is free of charge. Celebration dinner exclusively reserved for top A' Design Award winners. Hosted in addition to our Galanight to celebrate the "Designer of the Year" title. AIBA, ISPM, IBSP, IAD, ICCI and IDC boards meet to discuss strategies and policies for design discipline. Members can join the meetings. WDC is a multinational global design agency with offices in most of the countries worldwide. Accepts Platinum and Gold A' Design Award winners. A' Award Jury is composed of dozens of professionals and academics, each design is given importance and equal time during voting. A' Award Jury although changes every year features a good composition of Academics, Business People and Focus Group members. During the Voting Processes, jury members fill a custom criteria survey, and thus indicate how a category should be voted in the future. A' Design Award features a highly developed methodology for voting with standardised scoring, voting criteria and more. Scores are standardised based on the a) The Weights of Criteria, b) Average Score of Jury Members, c) Average Scores of All Years. Jury votes online, therefore no one effects others' votes, the vothing panel is easy yet requires a careful analysis of the design to be voted. A' Design Award and Competition was developed as a part of a Ph.D. thesis at Politecnico di Milano after analysis of 800 Design Competitions. The platform is constantly developed with survey results, and through ongoing research in order to provide the most for the winners. A' is not affiliated with any subculture, politic group or institution, and the jury is equally free during voting, your entry will be judged fairly. The A' Design Award Winners Kit is seperated into two pieces: 1. The Provided Services & 2. The Physical Components. The Package includes your award certificate, invoices, manual for winners, your award trophy, A3 Posters & A3 Certificate, Yearbook and more.. The Winners' Kit is free and given to all winners at Gala-Night & Exhibition. If you were unable to join the events you can also order them. Being an award winner is just the beginning, A' Design Award provides Mediation and Brokerage service to its winners. Designers are kind, polite individuals who might have difficulity in making contract with company CEOs who are wilder, stronger, faster. A' Design Award, together with Design Mediators, provides support to designers in order to make legal contracts with companies. A' Design Award has founded the Salone del Designer, with the sole purpose to provide a platform for winners to sell their designs. Winner Designers can set a sales price and also customize their contracts for selling their winning designs through the Salone del Designer. The Salone del Designer platform is provided free of charge to winners, however only winning designs can be listed. At DesignMegaStore winner designers and companies can sell their any of their designs or products, not only winning entries. DesignerMegaStore normally requires a 500 € Registration fee, however the service is provided free of charge to all winners. The DesignMegaStore is not just free for winners, but also do not take any commission from the sales of designs. Not just sell designs; but join design tenders to give quote for design and production of custom products, services and more for international buyers. Are you a manufacturer? Give price quotes to big buyers for turnkey design and manufacturing solutions. Are you a designer? Find high-profile requests. The BuySellDesign network is exclusive to A' Design Award Winners, who wish to provide services to worldwide clients. Winners of A' Design Award are given a logo that they could apply to their communications and public relation campaigns. The Winners' Logo is available in many formats with & without the year of winning, and can be incorporated into all sorts of advertisements. The Winners' Logo is provided free of charge to all winners, and A' Design Award and Competitions grants unlimited usage to winners. A' Design Award Winner Logo highlights the additional design value embedded in your work, products & services. To leverage the award winning status and get further benefits, winners use the logos in their visible communications. The A' Design Award Winner Logo's create a positive impact during a clients decision towards a product. Can you prove that you are indeed the original creator of your work? The Proof of Creation certificate given by A' Design Award can help. The Proof of Creation document is duly signed and timestamped to help prove that at a given time, you had the design concept in your hands. 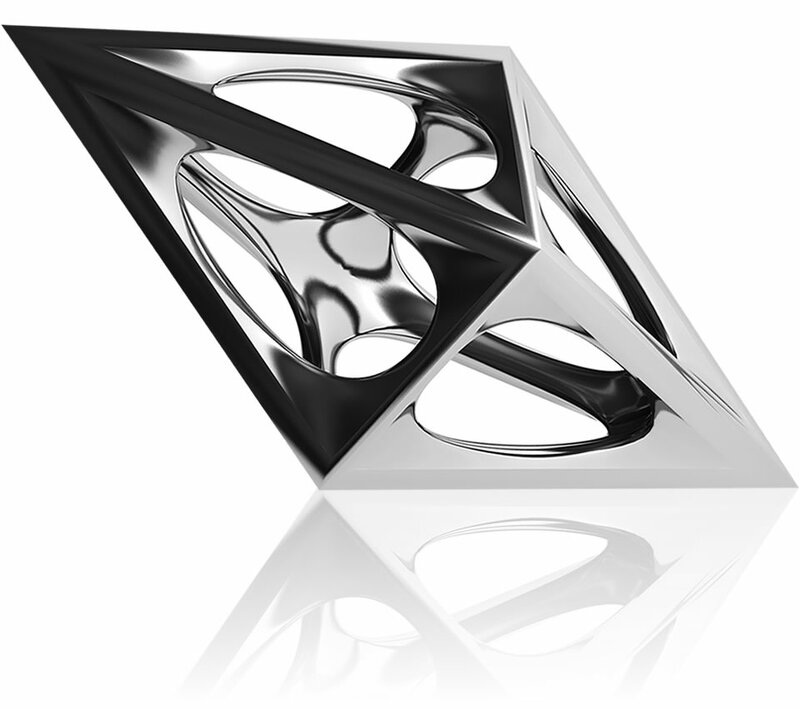 A' Design Award provides an easy way to obtain your proof of creation, free to all participants. Please note that this is not a patent. A' Design Award provides many and free of charge public relations services for winners through DesignPRWire. It is not just digital, throughout the year, DesignPRWire visits tradefairs and introduces winners to design oriented companies. With services such as press release preparation and distribution, again free of charge, A' Design Award increases your connectivity with the press. A' Award prepares a press release for all the winner designs, in addition also allows winners to upload their own releases to our platform. Both press releases are distributed by DesignPRWire to a wide range of press members including both the traditional and digital media. IT IS FREE & HIGH RES. The press release preparation and distribution services are provided to all winners automatically and without any payment. A' Award publishes interviews with the winning designers at Design-Interviews.com, this service is free for all winners. The Interviews are also available at A' Design Award Website and are part of the Press Kit that are distributed to media members. The interviews are provided in a way to encourage usage without attribution to A' Award helps press members to write their articles. A' Design Award has been designed with keeping designers in mind, in addition to many services a special program was made. Distinguished Designer Program is a tiered program bestowing unique benefits at each level to winner designers. The Distinguished Designer Card provides discounts and free offers by A' Design Award, and program partners. A' Award provides a unique control panel for press members, accredited press members are given a lot of controls and functionality. Some of the prominent functions are: requesting interviews with winners, downloading press kits of winners, download high-resolution images etc. Press Members could also upload their articles in PDF format, keep track of their likes etc. Designers can see press interests and downloads. A' Award provides a unique profile page where designers can upload their images, and enter their cv, furthermore, all her awards are shown. High-resolution images of the winner designers together with corporate logo of the designer are available for download to press members. In addition to a profile image, designers can upload additional images & photos (designs, studio photos, company logo etc), for press. The Security of your submissions, your personal data and designs is of uttermost importance to A' Design Award and Competition. Your personal data is saved with SHA algorithm and even we do not know your password. Furthermore, connections are secured with SSL. A' Award never shares your personal data with other publishers, let alone selling it. Furthermore you can use privacy locks for your designs. A' Design Award makes full usage of the new media, and has created many websites in order to reach a wide array of users. The A' Design Award Media Network websites are optimized for appearance at the Search Engines in order to create the most visibility for winners. The Network Sites features only the winning designs & designers nothing more, and are a great source of inspiration and news. A' Design Award and Competition in addition to world's best design, arts and architecture blogs, distributes your news through the design media networks. Your news are distributed through four main networks, first the design-media, second IDDN, third DXGN, and fourth is the DesignPRWire DB. More news linking to your winning design make sure that your award winning status comes up at searches, creating positive impressions. A' Design Award has a database of thousands of design blogs, journals, magazines, and other publications, see a partial list at design media. The International Design News Network, composed of 50+ sites, carries the winners' news to its final audience: design enthusiasts and buyers. The DXGN Design Network, composed of other 50+ design journals, magazines and blogs that also shares winners' announcements to further audiences. A' Design Award and Competition publishes Designer Rankings that is easily accessable by public and media. The Rankings feature the number of awards won by each designer and total rankings. Top 10, Top 100 and Top 1000 Designers can be accessed. The Designer Rankings include only A' Design Award Winners and the service is provided free of charge to all winners. A' Design Award and Competition publishes World Designer Rankings that ranks countries based on awarded participants. Each country further lists the best designers, artists and architects within, and for each award you won, you will be increasing your country score as well. WDR - World Design Rankings is the first and only inclusive ranking system for design among multiple disciplines. A' Design Award and Competition licenses the Good Design Mark to A' Design Award winners, free of charge, for lifetime for the awarded design. The logo features an URL and the Good Design Mark page explains further the mark, and why it has been awarded to your design. It has been reported by major market research institutions that consumers are more likely to prefer products that have been marked as "good design". A' Design Award and Competition winners can join exclusive, invite-only "Prime Clubs" which provide further networking opportunities for winners to connect to other professional peers. Winners can access the club forums for information exchange, get international support for initiatives, or access and respond to tenders and price quote requests posted by other members. Lifetime participation opportunity and an exclusive invitation is provided free of charge for all A' Design Award winners. Club members are displayed at member indices and gain membership benefits. Alliance of International Business Associations. Free membership for award winning associations, organizations, institutions and clubs. International Beurau of Service Providers. Free membership for award winning businesses and institutions in tertiary sector of the economy. International Association of Designers. Free membership opportunity for A' Design Award members. International Council of Creative Industries. Free membership for award winning businesses and institutions related to creativity. International Design Club. Free membership for award winning architect offices, artists workshops and designer studios. The World Design Index is a directory of all major designers in the world. Listing inclusion is provided free of charge to ICCI members. ICCI Membership is free for A' Design Award winners. The Press-Kit.org website presents media kits of awarded designers in a beautiful way, attracting attention of press members who are searching for high-resolution images. An initiative by the IAD - International Association of Designers, Designer of the Year is a free to join program, open to previous, senior award winners, who are 40 or older. A' Design Award and Competition provides an exclusive manual to winners, explaining the steps to take after the results announced. The "What to do Next" guidelines for winners provides exclusive tips in order to create the most impact for winning the A' Design Award. Most of the guideline documents are already printed and included in the Winners' Kit, however they are also available for download too. ICS is the International Consumer Satisfaction System for Quality for Services. A' Award winner businesses get discounted application rates. ICS is the International Consumer Satisfaction System for Quality of Products. Awarded realized products get discounted application rates. GQMS is the Global Quality Management System for Companies. A' Design Award Corporate winners can apply with discounted rates. Learn the results of your nomination within 72 hours, 3 Jury members will judge your design, comparing scores to previous years' average. Get Professional Photography Service to help you present your products better. Submission to Award is also included. Have your works presented better, you will get your project illustrated, rendered or photographed depending on the situation. * It is our duty to note that the afore mentioned services are additional services provided on demand, and utilising these services do not effect your odds of winning the A' Award. As a participant, you might need support not just during participation but also after being a winner. A' Award Provides 7/24 Support to participants. The Frequently Asked Question and Answers page features hundreds of previously asked questions and is constantly updated. The How to Questions and Guidelines Page features explanation of common procedures and provides tips to participants. Each uploaded design recieves preliminary judging free of charge by the A' Design Award and Competition. One of the Preliminary Non-Final Jury member checks your entries, and provides suggestions on how to improve your design presentation. Your design will be either approved or rejected, if rejected you are suggested to make the required changes before nominating your design. A' Design Award & Competition actively takes part in the social media and the ongoing conversation in order to relay your message. As experts say, the social media is the new media to reach out your prospective customers and to connect with your existing clients. No matter what the media is, A' Design Award is ready to take your message further by helping you reach a wider audience. As a business, you might already be spending tons of money on the advertisements, you already know the costs & prizes for publication. Winning the A' Design Award could secure you some editorial space at both the traditional, new and social media and could create free publicity. With PR Services, Press Release Preparation and Distribution Offers and the Advertisement Network, you will get much more than you initially invest. A' Design Award and Competitions offer two programs that provide opportunity for students to take part in the competition free of charge. By taking part in this program, you can earn free entry tickets and t-shirts of A' Design Award and Competition by suggesting other designers. Students can apply for becoming a Design Ambassador, by performing simple tasks, students can win free entry tickets. * These programs are only meant for current university students. Students can earn up to three (3) processing fee waivers. Limited to a single (1) Ambassador per University. Take part in A' Design Award & Competitions' Design Networking Platform to reach further clients, consumers, companies or designers. Businesses can find award winning designers looking for jobs. Award Winning Designers can browse job offers and positions. A' Award offers bulk and discounted nomination packages for businesses who wish to make multiple submissions. Discounts are available for Education Centers, Universities and Associations. Furthermore special discounts are available for previous winners. Your invoice are available online for download within several hours, you can use your invoice to deduct tax payments. A' Design Award & Competition features many distinct design competition categories in order to reach the widest audience and to allow designers to compete in a truly international platform. Research indicate that the worth and value of any award increases proportionally to its reach through network effects. A' Design Award is open to both concept stage works, prototypes, finished or realized projects and products that are already in market. A' Design Award is not just for participants, but also for sponsors and organizers, read our corporate presentation to learn more about us. The Presentation explains A' Design Award for Participants, Sponsors and Organizers in great detail. Download the A' Design Award & Competitions' Corporate Presentation in powerpoint format to discover more. Uploading your design, updating your profile and entering your design details and interacting with the platform do not legally bind you to nominate your design. You can register & update your profile today, submit your design tomorrow and nominate your works whenever you want. You can get a proof of creation using A' Design Award and Competitions' Platform, the Proof of Creation service is provided to all registered users and you do not have to nominate your design in order to get this service for free. It is free for all; both winners & non-winners. Register and submit your design to A' Design Award and Competition, a preliminary jury member will evaluate your design and suggest you the course of action to take and will provide constructive feedbacks about how to improve your design presentation.